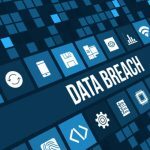 Dubai, United Arab Emirates – The Middle East is posting the world’s highest increase in data breach costs, with the average organization risking nearly USD 5 million per data breach, showing the urgency in adopting data protection strategies, security experts announced today. Worldwide, organizations are facing increasing risk of material data breaches – when at least 1,000 customer or citizen digital records are lost or stolen, whether from system glitches, human error, or criminal activity. As organizations deploy cloud applications and connect more devices to networks, they are also increasing the risk for data breaches. As a result, the average Middle East organizational cost of data breaches has risen by 20 percent from USD 4.12 million in 2016 to USD 4.94 million in 2017, according to a recent report by the Ponemon Institute, presented at the recent RSA Abu Dhabi conference. In response, UAE organizations need to ramp up their data protection, argues UAE-based IT infrastructure and information management consultancy and solutions provider Condo Protego. “Data breaches can be catastrophic for Middle East organizations. Middle East organizations need holistic data protection strategies and solutions to prevent, contain, and remediate data breaches. Solutions from endpoint security to data backup and recovery can reduce costs, ensure business continuity, and enhance customer trust,” said Savitha Bhaskar, COO, Condo Protego. Encouragingly, the Middle East does have the world’s second-highest spending on data breach response, at USD 1.43 million per organization, the report adds. Data breach response can include help desk activities, investigative activities, and identity protection. “While the Middle East is spending more on data breach responses, the more important factor is appointing a Chief Information Security Officer. 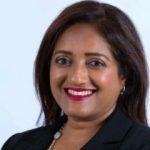 This board-level role can ensure that data protection strategies are deployed across lines of business, are easy for employees to understand and follow, and that the solutions match the business needs,” added Savitha Bhaskar. In the Middle East, Condo Protego is seeing strong success in deploying data protection strategies and solutions for a wide range of organizations. Condo Protego is seeing strong demand for RSA solutions such as the NetWitness Suite for threat detection and response, and the RSA Fraud and Risk Intelligence Suite for data breaches.